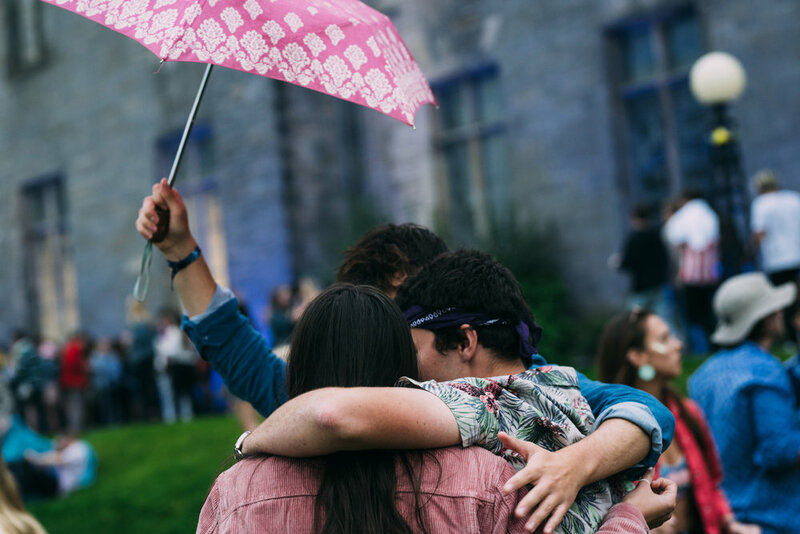 Every year, the University of St Andrews Fresher’s week concludes with Starfields — a conclusion which also marks the start of the year’s event culture. In a town where the social life revolves around a constant cycle of expensive evenings in well-dressed company, it’s important for the bar to be set high from the start. Now there can be no denying that the FS team put a lot of thought into this year’s Starfields: the new, covered dance area sheltered the two steppers from the drizzle and there was an array of impressive food stands for guests. The usual extras, such as ball pits and bean bags will entertain Freshers every year, and third years will still enjoy them, as long as everyone around them is aware it’s ironic. Boston Bun provided crowd pleasing house music and there was certainly a positive energy on lower college lawn as guests boogied and caught up with friends. As always, there was an equal split of impressive and questionable outfits but there can be no denying that most guests dived head first into the festival theme, some via a pot of multi-coloured paint. As the night progressed, much of the crowd was left a little underwhelmed by the music. Gorgon City were undeniably easy to dance to, but despite a good stage and impressive lighting, their performance lacked the energy you would expect from a live set. This could perhaps be partially blamed on the sound system, which despite its good quality was not loud enough for such an open space. They certainly played some of their own classics and “Ready for your Love” went down well but there was nothing particularly exciting about the mixing. The same could be said about the event as a whole, it was good, but there wasn’t anything that stood out or surprised the crowd more than previous years. It is certainly nice to see the recent shift in St Andrews’ music culture, and no one will argue against the fact that electronic music is taking a more central role in the town’s night life. Events such as Wax Rooms and Szentek are now an integral part of the student community and the FS team has clearly taken that into consideration with their planning this year, however, the event itself was sub-par for the ticket price. As always though, the procession of house parties and the post-summer reunions ensured that everyone had a good time and ended the night smiling.